Images are powerful tools to make people feel and take themselves to a part of their life that they want to relieve. Such images have mostly been taken during seasons when people are with their loved ones and families. There is just something so romantic about bridges even more so when they are covered in snow. One cannot resist taking a picture or walking across a park bridge. This emotional yet beautiful holiday ecards for business design will bring back memories of those long walks you took or that beautiful bridge that turns white during the winter season. There is just something so romantic and longing about this ecard, that especially once the snow starts to fall. You can send this to a loved one you dearly miss or a friend who is far away now but has special memories shared with you in snow covered bridges. These e cards can never go wrong. This enigmatic ecard can say so much in such a simple picture. This will take the recipient to a walk in the frozen bridge with you, sipping hot chocolate or with their friends while having a big laugh, sharing jokes and stories. 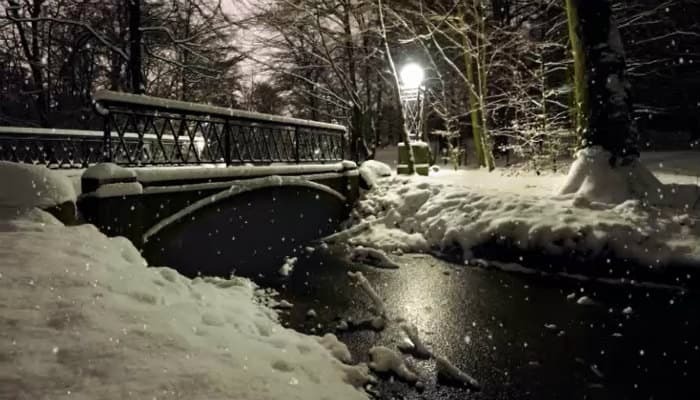 All those beautiful memories that can be brought out by the simple thought of a frozen bridge, it is that powerful especially if sent to the right person. If this design doesn’t float your boat then we will be sure have one that will in our massive range of electronic holiday cards for business.